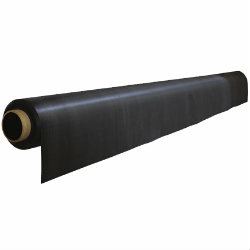 Here at Ashbrook Roofing we dont just stock traditional roll on shed felt, we also stock EPDM rubber roofing membranes. This rubber membrane provides waterproofing for upto 50 years. 10 times longer than any standard grade shed felt. Available to buy in kit form means that you have everything you need for a quick and easy installation. Once you have measured your shed simply choose the size from the listings below and you will receieve the materials you need! Buy exactly what you need, meaning no cutting strips to size and minimal wastage.